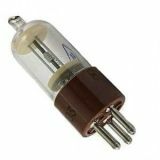 Spark gap, РБ-5, 340-460V, 200Mohm Spark gap. Spark gap ZF2R, 250V Spark gap ZF2R 250 V.
Resettable Polymeric Fuse PTC 3.75 A, 120 VDC Resettable Polymer Fuse PTC, EX series, with rated current 3.75 A.
Resettable Polymeric Fuse PTC 2.5 A, 120 VDC Resettable Polymer Fuse PTC, EX series, with rated current 2.5 A.
Resettable Polymeric Fuse ERF-RA13560Z 1.35 A, 60 VDC Resettable Polymer Fuse ERF-RA13560Z, with rated current 1.35 A. List Price 1.20лв. VAT Incl. 1.07лв. VAT Incl. 1.01лв. VAT Incl. 0.96лв. VAT Incl. Resettable Polymeric Fuse PTC 3.5 A, 30 VDC Resettable Polymer Fuse PTC, AN series, with rated current 3.5 A. List Price 0.55лв. VAT Incl. 0.52лв. VAT Incl. 0.49лв. VAT Incl. 0.46лв. VAT Incl. 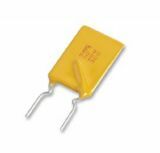 Resettable Polymeric Fuse PTC 2 A, 30 VDC, ECE Resettable Polymer Fuse PTC, AN series, with rated current 1.35 A.
Resettable Polymeric Fuse PTC 1.2 A, 15 VDC Resettable Polymer Fuse PTC, AN series, with rated current 1.2 A.
Resettable Polymeric Fuse PTC 7 A, 30 VDC Resettable Polymer Fuse PTC, 30R series, with rated current 7 A.
Resettable Polymeric Fuse PTC 5 A, 30 VDC Resettable Polymer Fuse PTC, 30R series, with rated current 5 A. List Price 0.95лв. VAT Incl. 0.90лв. VAT Incl. 0.85лв. VAT Incl. 0.80лв. VAT Incl. Resettable Polymeric Fuse PTC 4 A ,30 VDC Resettable Polymer Fuse PTC, 30R series,with rated current 4 A.
Resettable Polymeric Fuse PTC 2.5 A, 30 VDC Resettable Polymer Fuse PTC,30R series,with rated current 2.5 A.
Resettable Polymeric Fuse PTC 1.85 A, 30 VDC Resettable Polymer Fuse PTC, 30R series,with rated current 1.85 A.
Resettable Polymeric Fuse PTC 1.35 A, 30 VDC Resettable Polymer Fuse PTC, 30R series,with rated current 1.35 A.
Resettable Polymeric Fuse PTC 900 mA, 30 VDC Resettable Polymer Fuse PTC, 30R series, with rated current 900 mA.